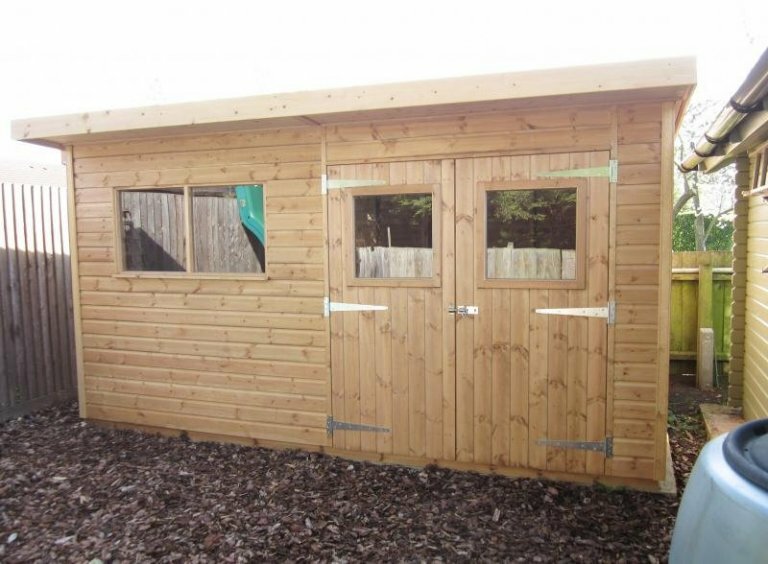 This Superior Shed is 2.4 x 4.2m in size, with a pent roof and a roof overhang, and it has been installed in our customer’s garden in Fulbourn, Cambridgeshire to use as a workshop and storage area. 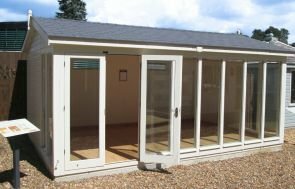 The pent roof has been covered in our heavy duty felt that is propane torched onto the roof for extra durability, and the roof overhang extends over the doors and windows, offering some shaded protection, as well as adding a bit of style to the building. To keep the shed looking natural, the customer just opted for our standard Light Oak preservative on the external timber, which also offers protection against fungi and woodworm. Black guttering has been fitted along the back of the shed to help catch excess rainfall, and internally, the customer has chosen to have our heavy duty floor (ex 38mm thick instead of ex 19mm thick), and two workbenches, creating an L-shape workspace. 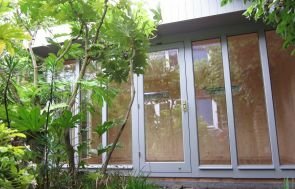 All our Garden Buildings are made using FSC® certified Northern Scandinavian Redwood, a high quality timber that has been slowly grown to make a dense timber that is less prone to dead knots. 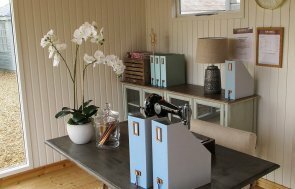 If you like the look of our Garden Sheds, please call us on 01760 444229 if you have any questions, or come and visit any of our Show Centres across the country to come and see our wonderful buildings for yourself.